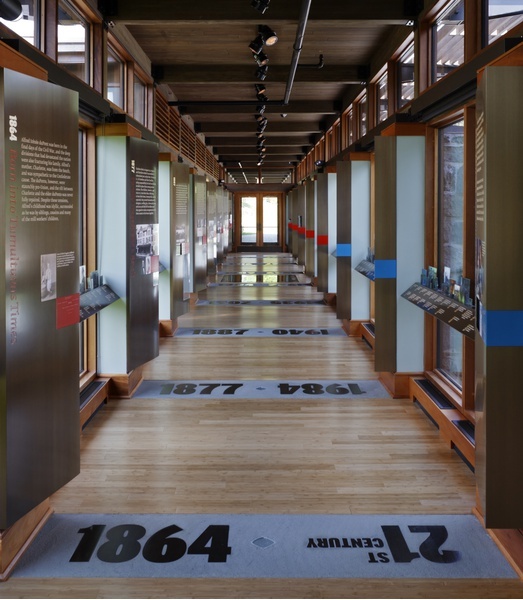 Designed as a walk through time, the exhibitions inside the visitor center for the Nemours Mansion & Gardens in Wilmington, Delaware, follows the interwoven narratives of the du Pont family and the parallel events of world history of the time. 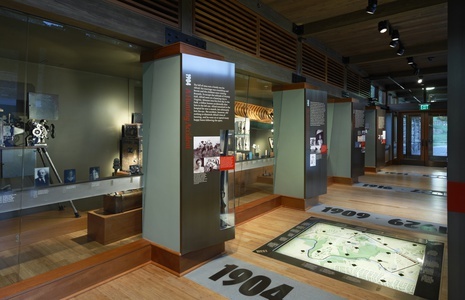 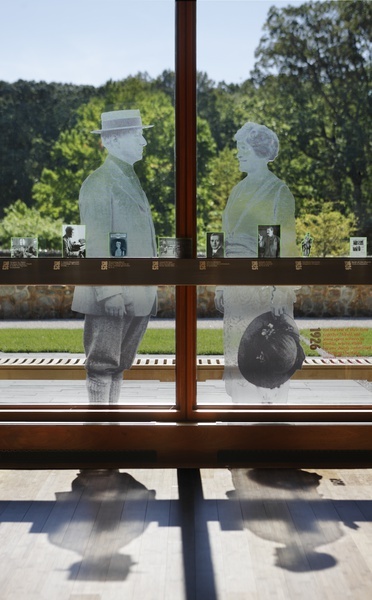 The exhibition serves as both an overture and a finale to a grand tour of the home and grounds.The visitor center is a key component of a major restoration. The Mansion was originally designed by Carrere and Hastings, the architects of the New York Public Library and Frick Mansion. It is fully "one acre under one roof" and includes the largest formal French garden in America. 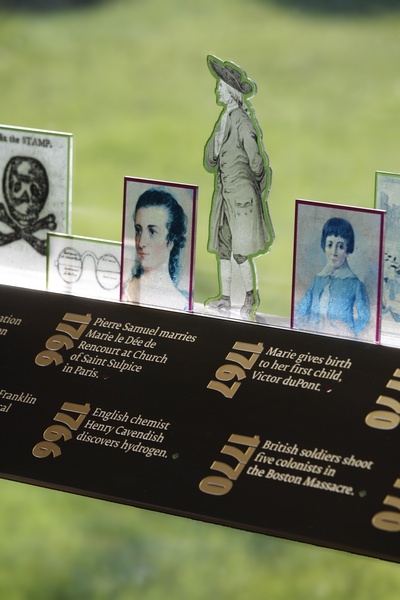 The original owner was Alfred I. du Pont, who believed that “it is the duty of everyone in the world to do what is in his power to alleviate human suffering.” His Nemours Foundation continues to improve the lives of children today.